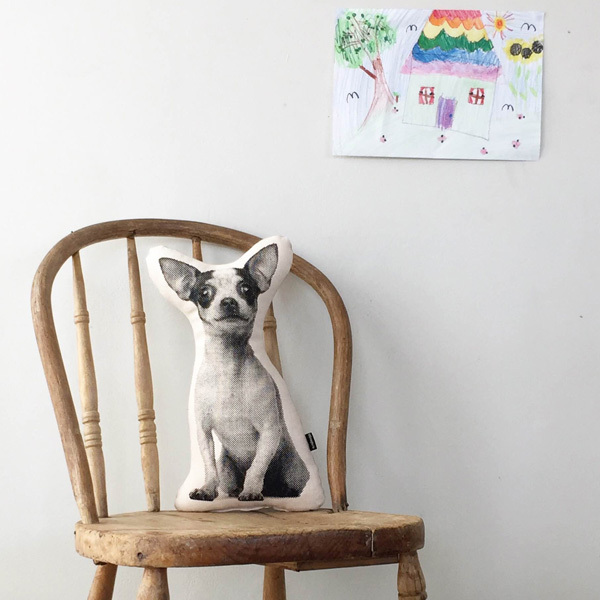 Texas the Chihuahua is part of a menagerie of animal cushions for your home. 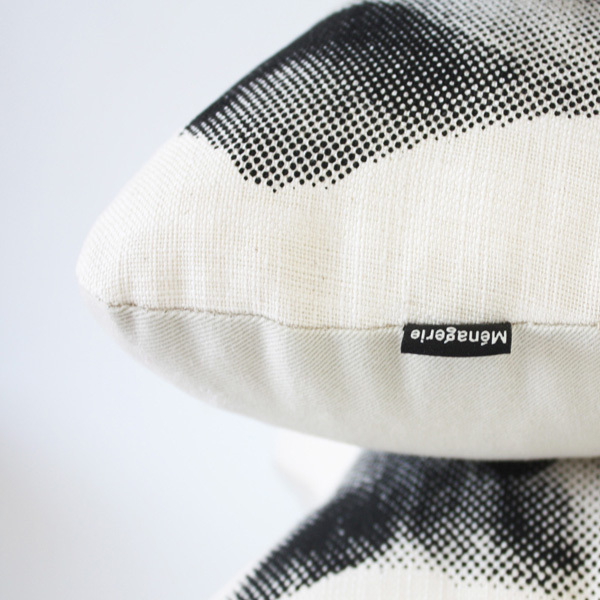 Tex is screen printed by hand in black water-based ink on thick 100% cotton off-white seeded fabric. He is backed in soft stone coloured cotton twill and has a woven label sewn into the side. He is plushly stuffed with unicurl for great recovery and maximum cuddles. 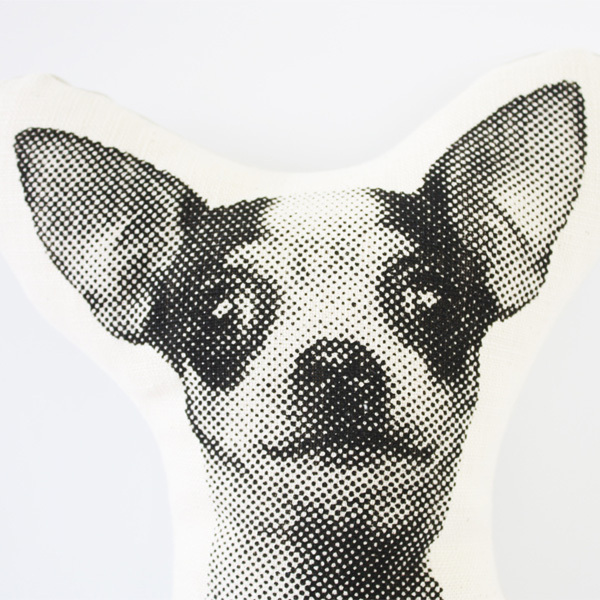 Tex is printed in a course bitmap pattern, which up close seems quite modern and abstract, but take one step back and his personality comes shining through. He will make the perfect pet for your couch! 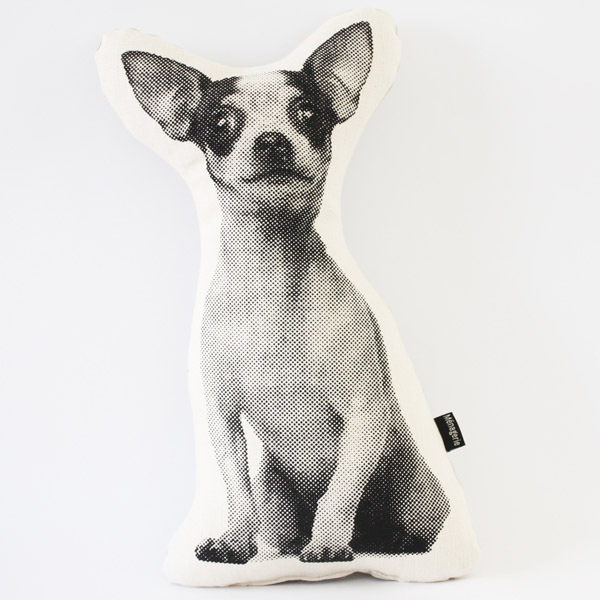 Notify me when Texas Chihuahua Texas the Chihuahua is available.